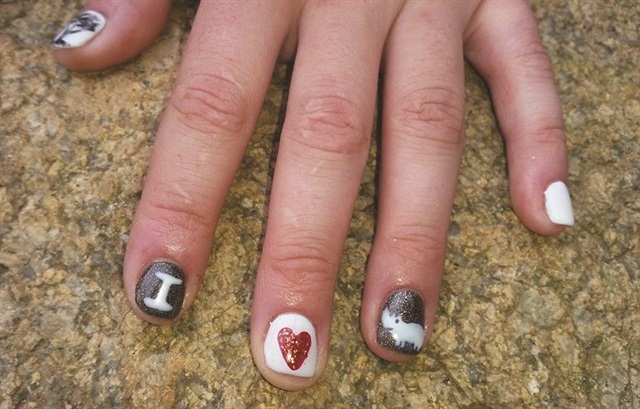 Why does it make perfect sense that World Rhino Day — observed annually on September 22 — should be celebrated with a nail art competition? Because rhino horns are made from keratin, the same substance found in human nails. 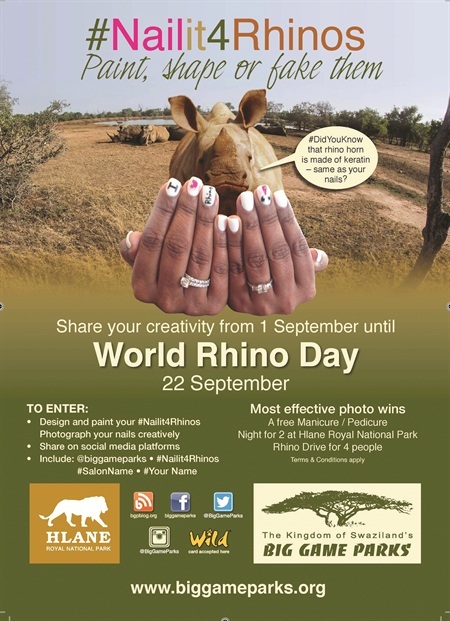 To promote this year’s World Rhino Day, Melusi Zox Dlamini, marketing coordinator for Big Game Parks in Swaziland, launched a Nail It for Rhinos challenge. 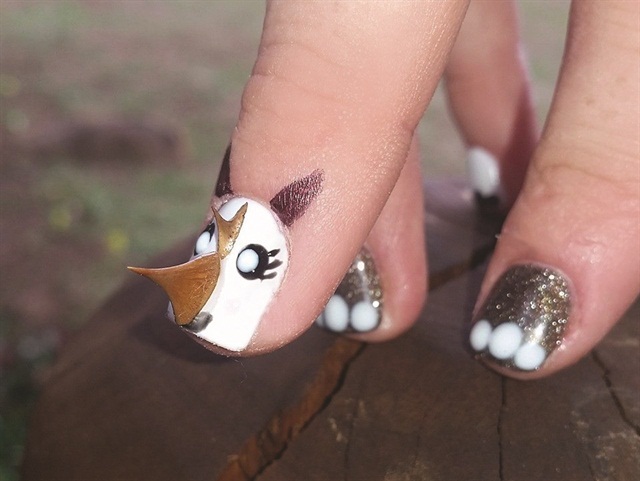 He encouraged the Swazi community to raise awareness of the plight of this endangered species by participating in a nail art contest. Entrants were called upon to create their most memorable rhino-themed designs and share them on Big Game Parks’ social media channels using the hashtag #NailItForRhinos. The winner received a one-night stay for two at Hlane Royal National Park, plus a Rhino Game Drive.